a shop assistant (q.v.) in a baker's shop. a shop assistant (q.v.) whose chief work is cutting up meat, filleting fish, etc., on a solid wooden block. sells books, papers and magazines at a bookstall in railway station, etc., or from basket tray on railway platforms, etc. a shop assistant (q.v.) in provision merchant's shop who sells butter, margarine, lard and cheese only. is registered with Pharmaceutical Society, after having passed a preliminary examination, as an apprentice for 3 years to a retail chemist to receive practical training under a qualified chemist (770) (q.v.) for Society's qualifying examination; after July 1926 must serve under Articles of Pupilage. gives practical demonstrations in a retail shop or store of the qualities, capabilities or methods of use of some article on sale. sells fish, fruit, etc., from the open front of a shop; is also responsible for display of fish on slabs, fruit in shop baskets, etc. issues and exchanges books for customers of lending library; classifies and indexes books; keeps records, usually on card index system, of books issued and returned. displays dresses, costumes, etc., in show rooms, by wearing them and parading before prospective customers. receives parcels of clothing to be laundered, cleaned or dyed; marks, sorts and packs, cf. packer and sorter (918); re-issues work done to customers; answers enquiries and advises as to cleaning or dyeing. has charge of weighing operations in warehouse, large shop, or meat market. serves customers with goods in retail shop or store, makes out bill or docket, takes money in payment for goods, where there is no cash desk or accounting system; weighs goods on scales or weighing machine when goods are sold by weight; wraps up goods for customers in bags or with paper and string; takes orders for later delivery; displays goods on counter, keeps goods in shop tidy and in good order. 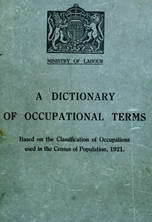 usually employed in departmental stores; does not himself/herself actually serve customers, but directs to different counters or departments; usually is in charge of number of shop assistants; initials their bills and deals with queries; may act as manager of department and sometimes as buyer (772) (q.v.). a shop assistant (q.v. ), displaying goods and taking orders in showroom. a demonstrator (q.v.) explaining to customers in large commercial stationer's shop uses and merits of efficiency systems, e.g. card indices, filing cabinets, loose-leaf ledgers; also visits firms' offices and advises as to modification of existing systems and installation of new systems.